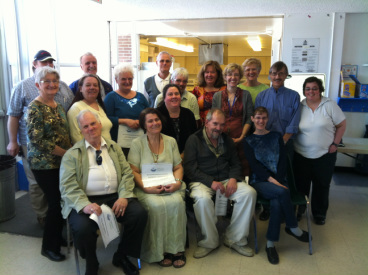 The Carlington Community Chaplaincy is seeking new board members. We invite people with the time and the interest to be part of this important ecumenical ministry. Please contact our Nominating Committee (Dave Hall at davidfhall@magma.ca or Wilma Di Gaetano at wilmajoy@rogers.com) or leave at message at the Chaplaincy office at 613-728-9933 by June 16, 2012. Nominations will also be accepted from the floor at the Annual General Meeting on Tuesday, June 19, 2012, 6:30 pm, Bellevue Community Centre, 1475 Caldwell Avenue, Ottawa Ontario. Please see the Board Member Job Description for an outline of the duties and responsibilities of each Board member.